E5 biofuel consumption rose recently in HCMC, following the upward price adjustment on April 2, Sai Gon Giai Phong news site reported, citing multiple fuel outlets in the city. A survey of multiple HCMC-based filling stations showed that biofuel consumption rose to 40% from the previous 30%, while that of the fossil type RON 95 gasoline declined to 60% from 70%. 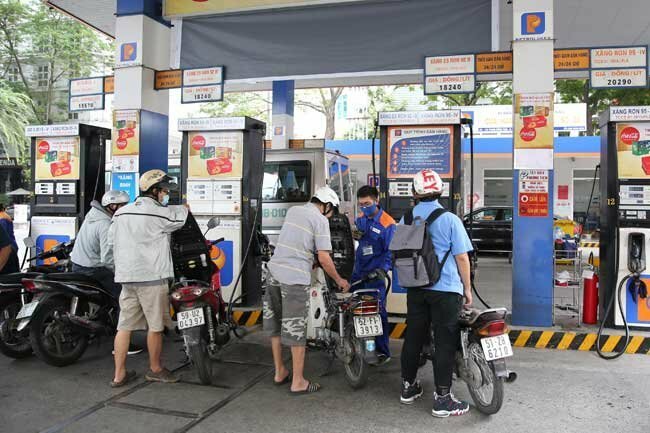 After the price adjustment, the retail price of E5 biofuel was VND1,500 per liter lower than that of RON 95 gasoline, resulting in a rising number of customers using the biofuel. The majority of customers contributing to the increase in E5 biofuel consumption were owners of trucks, coaches, taxis, Grab vehicles and motorcycles. To further enhance biofuel consumption to protect the environment from air pollution due to carbon emissions, many fuel outlets have proposed the competent authorities and fuel wholesale firms arrange promotion activities to introduce the quality of biofuel and guarantee the supply and quality of the product to gain customers’ trust. A representative of Vietnam National Petroleum Group (Petrolimex) noted that the group is in the process of expanding its direct retail distribution system and cooperating with many traders to boost the sale of E5 biofuel. In addition, Petrolimex suggested the Government promote activities that introduce the quality and benefits of E5 biofuel to residents, apart from adopting measures to tighten control over and monitor the quality of biofuel. Fuel supply and consumption in the city remain stable, according to the HCMC Department of Industry and Trade. The city saw fuel consumption total over 5,700 cubic meters per day, or 171,570 cubic meters per month, last month, with RON 95 gasoline and E5 biofuel amounting to 3,600 and 2,050 cubic meters per day, respectively.